Woven from quality man-made microfiber for a soft, textural finish, this Designer Plaid Necktie in Black and Blue would make a handsome finishing touch to any refined outfit. 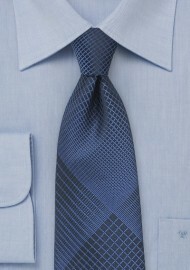 Its handsome shade of blue features a black diamond grid pattern for depth. 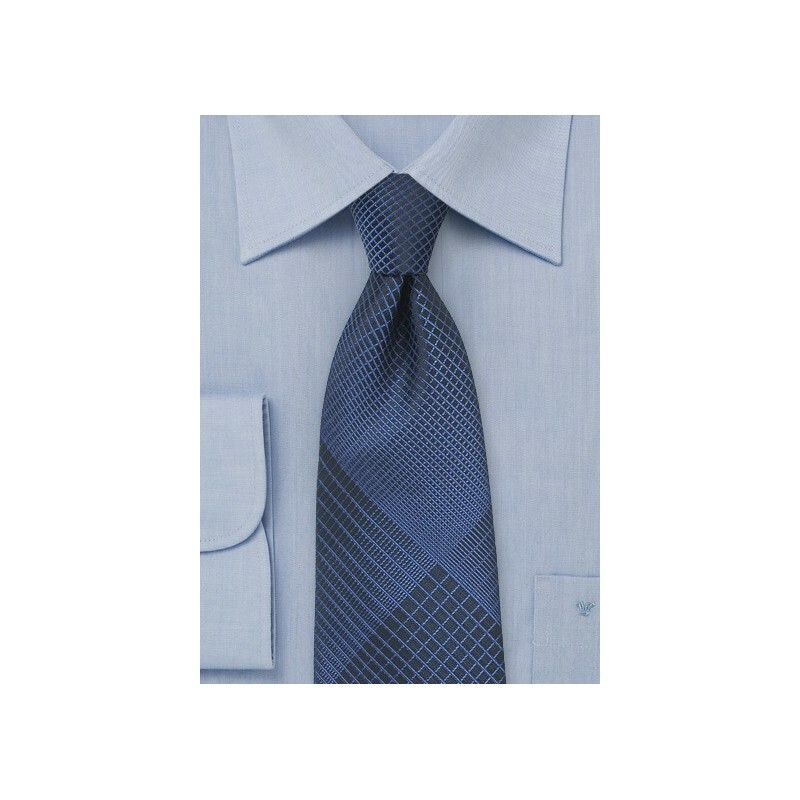 We like it best when worn with a crisp white shirt and a pair of black trousers. Add an extra dash of dapper to your look by accessorizing with a silver tie bar! Jacquard woven. Wrinkle and stain resistant. Made by Puccini.